2. Olive and June Floral Co. The top two have definitely built up a gap between them and the rest of the field. 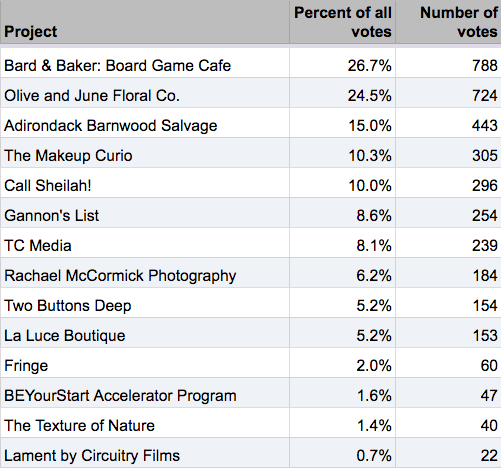 But a late push could among the other top-five projects could make things interesting. Also: Crowd voting support is something the editors take into account when making their selection for the third spot in the finals. The full leaderboard with vote totals is below. Crowd voting ends this Wednesday, September 20 at noon! So there's still plenty of time of vote. And take a few minutes to look over this year's applications -- they're all posted online for you to scan. The applications and voting instructions are at the link above. Totals as of Monday at 10:45 am. 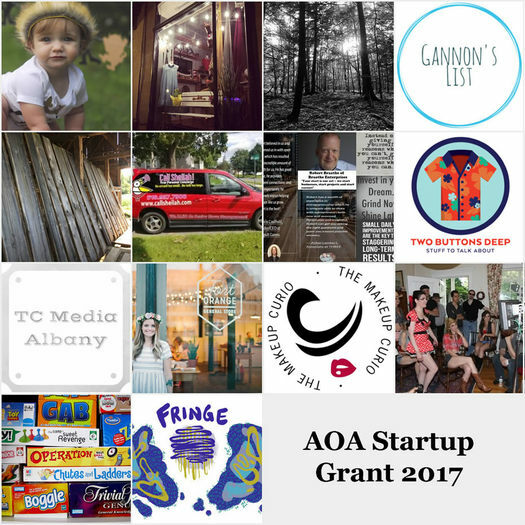 The 2017 AOA Startup Grant is made possible with the help of CDPHP, CDTA, the College of Saint Rose, Nine Pin Cider, and the Community Loan Fund of the Capital Region. I think it would be a riot to include 1 fake business in the mix the next go round. Like a startup that wants to offer free range, cage free honey, someone making jewelry out of pulled teeth, or a photo studio called "despuÃ©s de la muerte" specializing in pictures of a very specific type of specific pet.